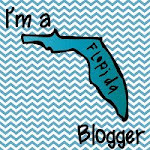 Hi blogging buddies! I need some help from those of you who use Storytown First Grade. My school does not use Storytown, but I purchased the beginning, middle and end benchmark assessments to use for our data. Our series does not have these types of assessments. That being said, I didn't know that they did not come with the teacher manuals, so I do not have the narratives in order to give the tests to my students. If anyone out there has these, I would love it if you could share them.... Please email me at pinksmyink@gmail.com and let me know. All of my resources on my blog are free, but I would be willing to barter for these, I really, really, really need them! Thanks for your help and I am keeping my fingers crossed that someone out there has these! We use Storytown at my school and I will be happy to scan and email them to you next week. If the craziness of the first week back causes me to forget, just send me a reminder. I should also have them (although they may be an older version). Lynn, Thank you so much. I don't know what version they ordered for us, since it was only the tests and not the whole series. I use Storytown and can get those for you if these lovely ladies are too busy. That would be great! I will take them anyway I can get them. We are testing next week, so if you could email them to the email address on my blog, I would be forever in your debt!